Welcome to Any Port In A Storm (Thanks, Cary! ), where I’ll lump all of my “port” reviews into one place, so they’re easy to find! These will probably be shorter reviews since these are games we’ve already reviewed once or a game that has already come out on another platform. And what better way to start, than with one of my favorite franchises of all time? That’s right, it’s DOOM! 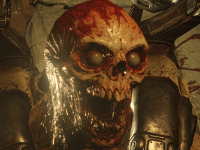 When I heard Doom 2016 was coming to a Nintendo console, I balked. Then I laughed. We haven’t seen something like that since the SNES/N64, as far as I’m aware. And Hell, the Doom port to the SNES was actually pretty good! But this is what I’d call a true test for the Nintendo Switch in terms of what it can/can not do. Even more than Skyrim. 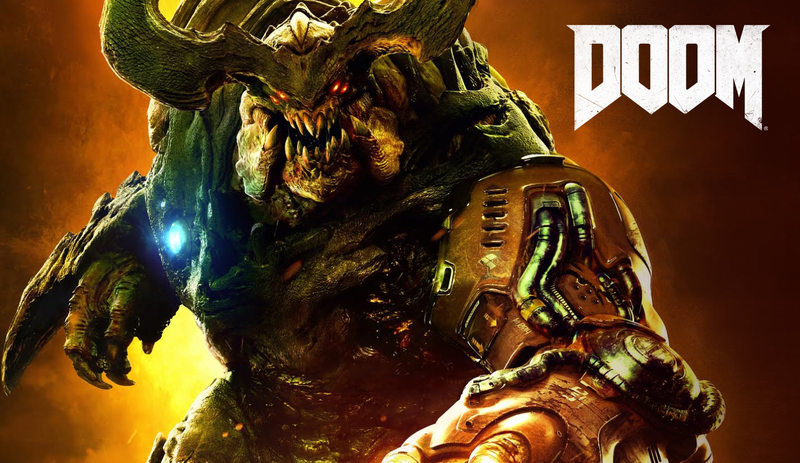 Doom is 1: More recent and 2: Requires far more of a PC/Console to run than Skyrim. I know, I know, Skyrim is the holy of holies. But hear me out. 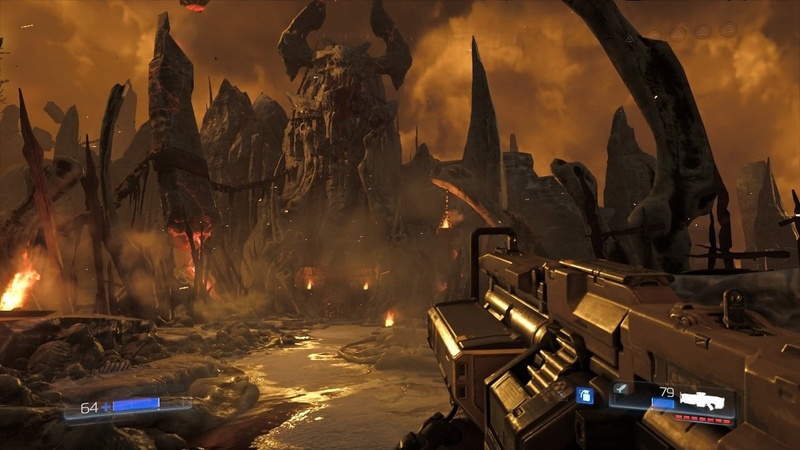 Doom is non-stop action, a run-and-gun with intense graphics and mountains of Demons waiting to be obliterated. Mm. 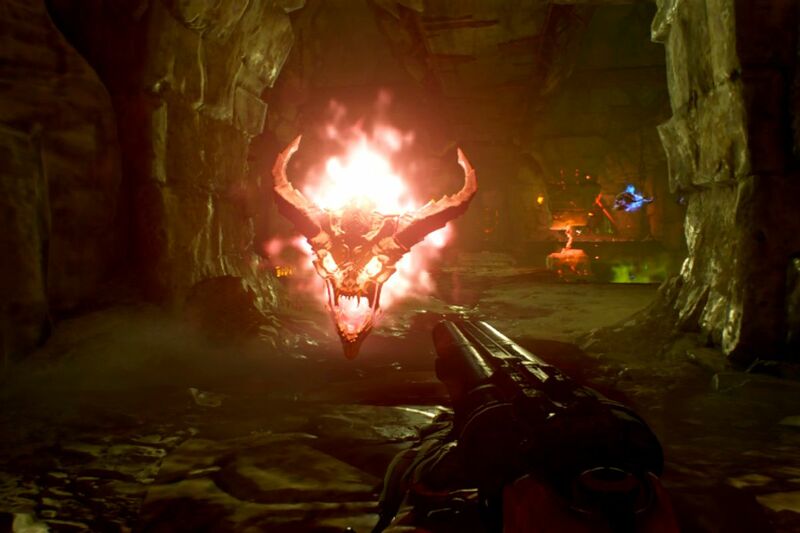 Obliterating demons with shotguns. Does it get better? 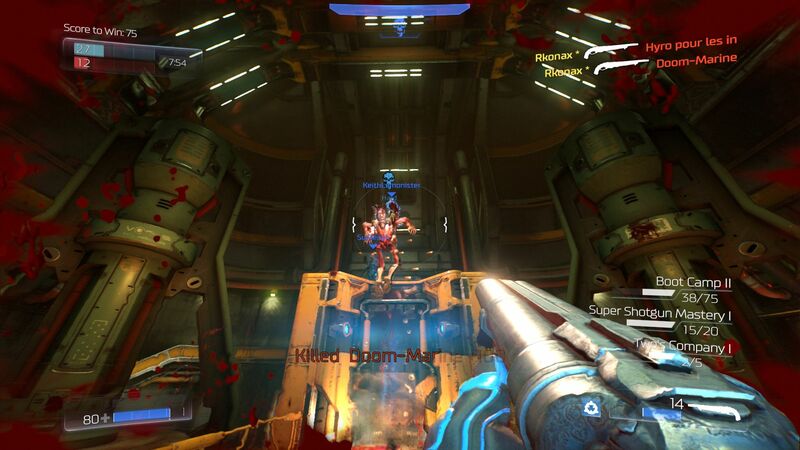 I had some pretty serious issues playing Doom on PC, and none of them were graphics related. My poor GTX 960 was able to handle it fine, and my 1080 can handle it even better. But the motion-blur made me nauseous, and I could only play it for about 20-30 minutes at a time before I had to stop, take a breath, and do something else. The motion made my motion sickness act up, which reminded me a great deal of VR (Which is why I won’t be playing/reviewing Doom VFR). It is defaulted on, but I noticed almost immediately, thanks to how ill it made me feel. It’s also 22~ GB if it’s a digital title, so please be aware if you’re low on space on the ol’ Switch. Personally, I’m waiting for my Micro SD to come in so I can have that and Skyrim loaded at one time. But this isn’t going to run at 60fps and 1080p on the Switch. It runs at a solid 30fps, and while of course (every single person who has reviewed it, I’m sure has mentioned) it is not as graphically impressive as the PS4, PC, etc versions of the game, it is still gorgeous, even in hand-held mode. It’s not the prettiest version of the game, but look at that. It’s still a hellish landscape. That’s the big thing for me. It plays amazingly, and it even has motion-style controls you can take advantage of. I personally didn’t, that’s not really my bag. I detested them on the Wii, and the Wii-U. So I’m not going to fuss with them unless I absolutely have to. But they’re there to make your Glory Kills far more fun. But what about the story? Come on, you know the Doom story by now. Lots of demons, you need to put on the armor, grab some guns, and kill the absolute crap out of them. All of them. There are lots of lore things you can look at, and paying attention to the story is definitely worth doing. But if you just want a portable romp where you can log in, obliterate some demons, and stop for a while, this is a great pick-up-and-play title. Plus it has all of the content that the PC version had, Arcade Mode, story, et cetera. It’s got an absolute ton of content to play through, and of course, secrets to explore. I did have to tinker with the settings just a bit to make sure my shots were going where I wanted them to, and after just a tiny bit of experimentation, I was well on my way to killing Demons anywhere in my house, or wherever I happened to be. I primarily played it on the hand-held mode, because I started around Thanksgiving, so I didn’t happen to be at my desk all that often. Be “Knee Deep in the Dead” anywhere you go. Not to mention, it’s the absolute best shooter on the Switch right now, and probably will be the best for some time to come. Some people have asked, “Why release a game from last year on the Switch?” And I say “Why not?” after all, this is, like I said, a terrific test of just what this console can do. It’s just as difficult as it was on my PC version, it’s just as fun to play. It’s a little less sharp-looking, but the graphics aren’t by any means terrible. I almost never had any slowdown, unless there were simply too many Demons on screen at once. I’m glad to see a Mature title on the Switch. None of the gore or violence is toned down. It’s still over-the-top and insane, the action gets my blood pumping just as it did on Playstation. 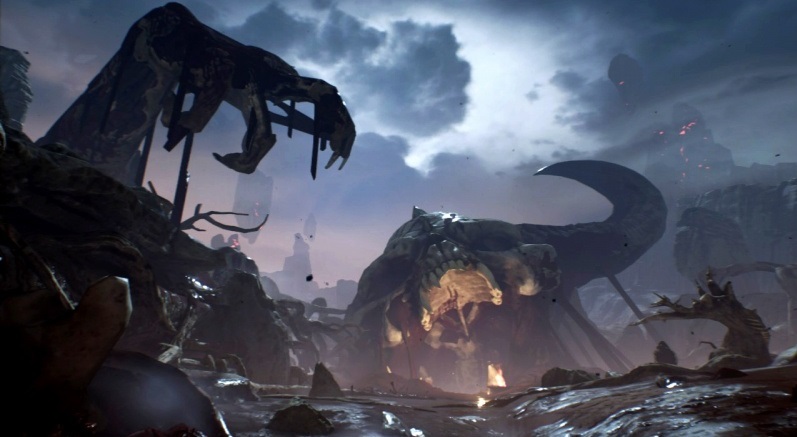 Though it’s pretty linear, there’s lots of stuff to find, secret crannies to explore throughout this devastated, demon-swarmed title. I cannot stress enough how fun this is, if you like ultra-violence and big guns. 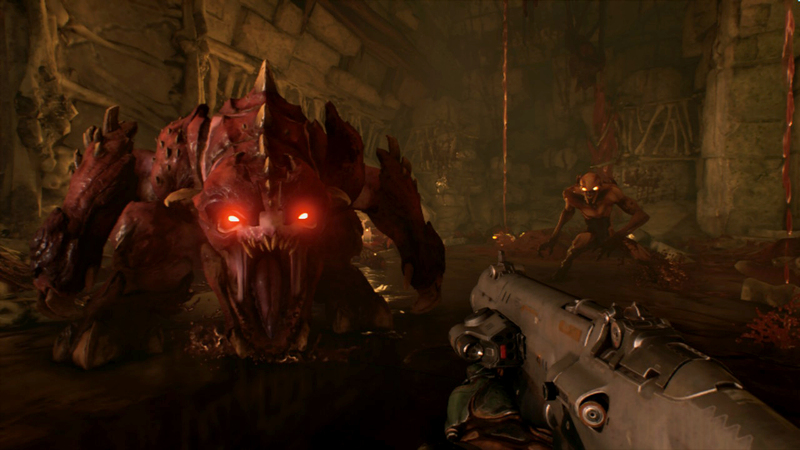 If you loved Doom on PC/PS4, you’ll love it right here on the Switch.